€55 million - The estimated cost of the next census, which will take place on Sunday 24 April 2016. 4.25 million - The number of bananas that come into Ireland every week. 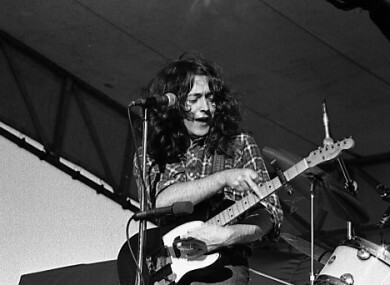 10,477 - The number of people who have signed a petition calling for Cork Airport to be renamed Cork Rory Gallagher Airport. 98 - The number of years since the 1916 Rising. The government has announced that the Moore Street site where the leaders surrendered is to made into a commemorative centre. 75 - The percentage of deaths in Ireland which are caused by either heart or respiratory diseases, or cancer. 43 - The number of minutes it took for US death row inmate Clayton Lockett to die of a heart attack after he was administered a new, untested drug during a botched execution in Oklahoma. 25 - The number of years that Jeremy Paxman has been presenting Newsnight. He announced this week that he is stepping down. 6 - Where Dublin ranks on a list of best value party cities, according to a list published this week, behind Bangkok, Madrid, Las Vegas, Buenos Aires and Berlin. 4 - The number of times that Denmark’s Noma has been named as the world’s best restaurant. It reclaimed the title this week. 3 - The number of Irish universities which made it into the list of the top 100 universities in the world under 50 years of age. 0.1 - The percentage drop in the unemployment rate in April, making it the 22nd month in a row where the figures have fallen. Email “Rory Gallagher, Death Row, and the 1916 Rising: The week in numbers”. Feedback on “Rory Gallagher, Death Row, and the 1916 Rising: The week in numbers”.